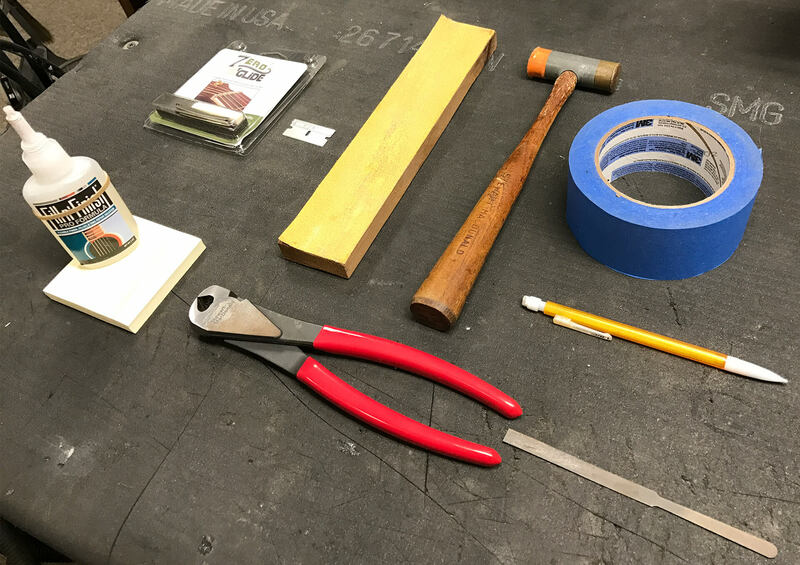 Razor blade, 3" x 4" wood block (must be very straight) with glued 120 grit sandpaper, small hammer, masking tape, pencil, superglue (medium –thick viscosity) & applicator (toothpick is ideal), wire snippers, thin file or sanding block (spark plug file is ideal). 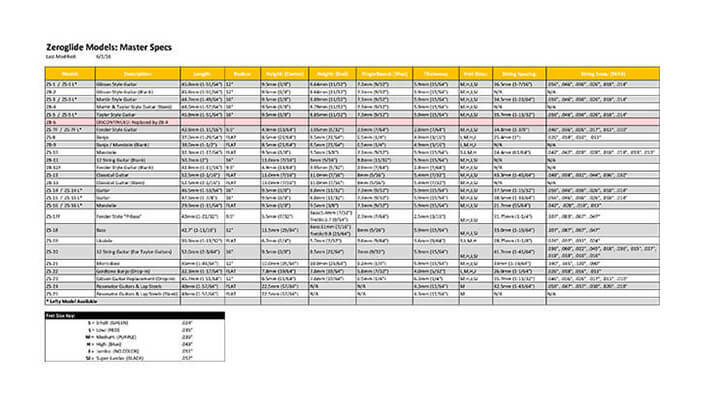 Other beneficial but optional tools include: Sandpaper 240, 320, 400, 600 if you desire to polish the nut end. With a razor blade, score the edges of the old nut along the neck and fingerboard. This is done to prevent any chipping when removing the old nut. Using the small wood block and a small hammer, gently tap the nut from the fingerboard side to loosen it from the slot. Scrape away any remaining glue from the slot with the razor blade to allow for the Zero Glide nut to fit flush. The thickness of the ZG nut must fit accurately in the channel. So the thickness may need to be sanded to the same as the original nut. Sand only the back of the nut (opposite the steps) to make a tight fit. When shaping the width, notice the Zero Glide nut is slightly wider than the neck width. It needs to be sanded to fit flush with the fingerboard. 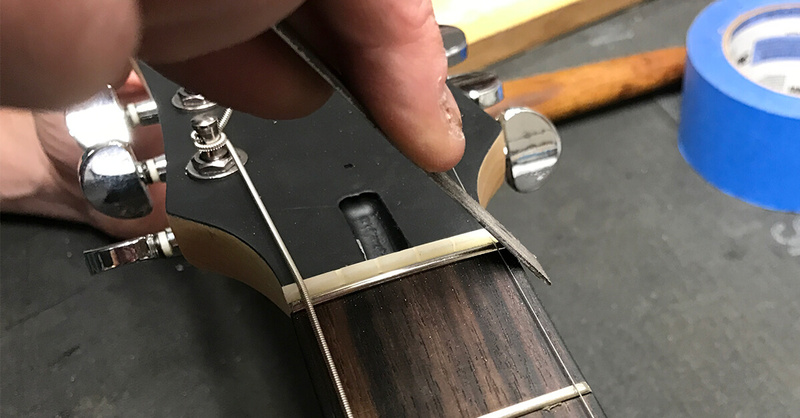 If the Zero Glide nut is pre-slotted, slide the nut into the proper position so the outside string slots are equal distance from the fingerboard edges. 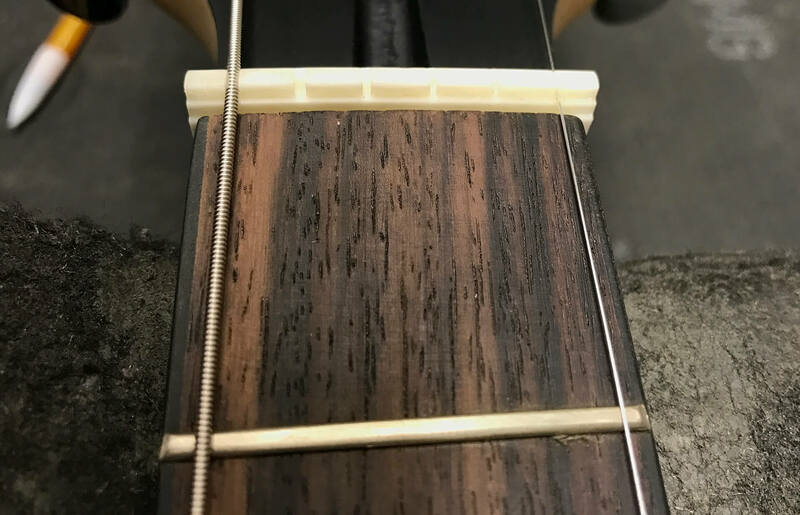 It may be helpful to place the two outside strings into the two outside slots of the nut to better visualize and determine the accurate placement. Tape the nut into place, turn the instrument over, and trace the neck contour on the nut with a sharp pencil. Remove the nut from the neck and sand the edges to the drawn lines on the nut. When fitted properly, the nut can optionally be polished using a 240, 320, 400 600 grit sandpaper, and then buffed with a polishing compound. 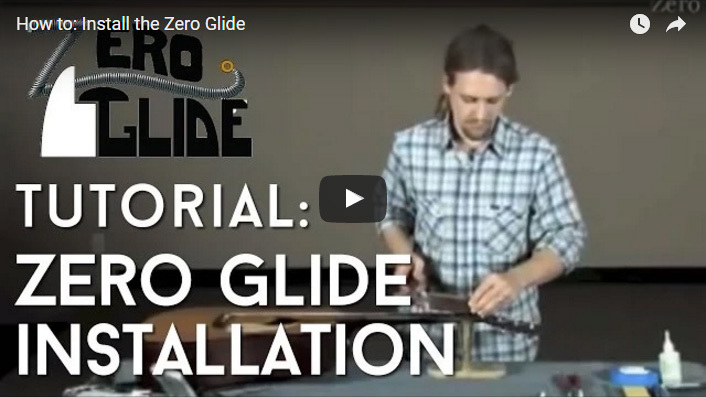 When shaping the height, the top step on the Zero Glide nut must be level with the fingerboard. Using the same flat surface equipped with 120 grit sandpaper used in previous step, carefully sand the bottom of the nut. Check often to be sure the bass and the treble sides are sanded to match the height of the fingerboard. 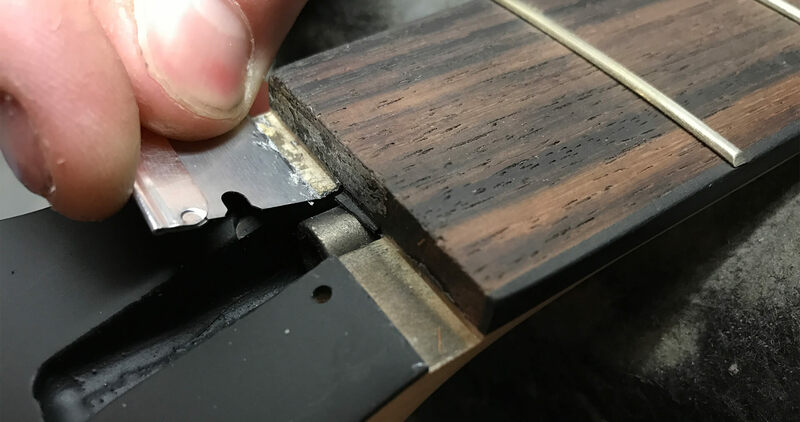 Note: The nut slot depth in the neck is not always perfectly level so sanding the bass or treble side of the Zero Glide nut more than the other may be necessary to accurately match the fingerboard. If you have a Fender nut, continue to Step 3.5, otherwise go to Step 4. Step 3.5: If you have a Fender nut, do these additional steps. If the nut shelf has a radius (curve), you will have to sand off the nub in the center-bottom until it fits correctly. The nut should have a .025" gap between the fingerboard and the nut (to make space for the fret). 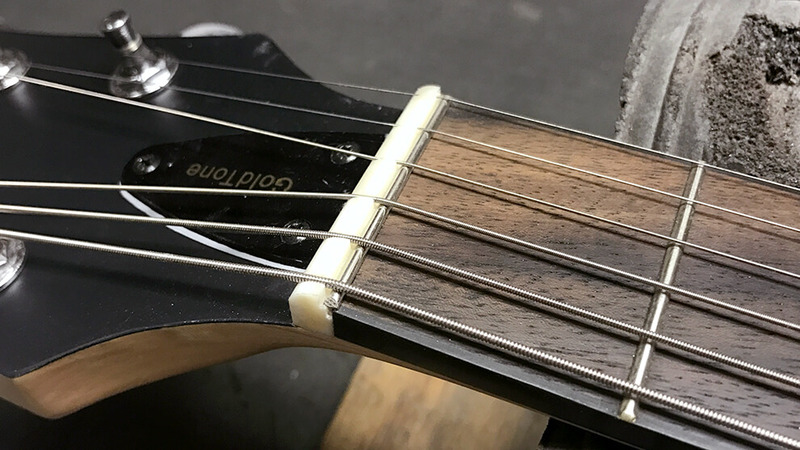 If the nut is too wide for the shelf, sand the back off the nut until it fits with the fret between the nut and the fretboard. Glue the Zero Glide nut into the nut slot in the neck using two small drops of superglue on the bottom surface of the nut slot. 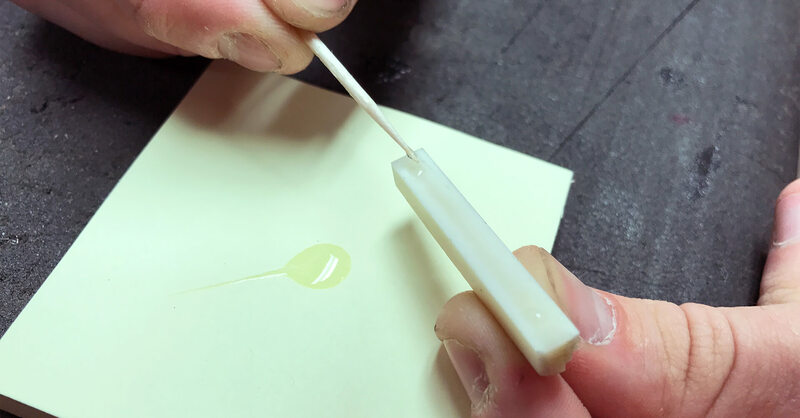 The ideal location for the small drops is roughly 5mm from the edges of the fingerboard to avoid any squeeze–out when the nut is pressed in, and using a toothpick as an applicator is recommended to control the amount of glue used. Note: Thin viscosity superglue is not recommended as it sets too quickly. Medium to thick viscosity superglue is recommended. 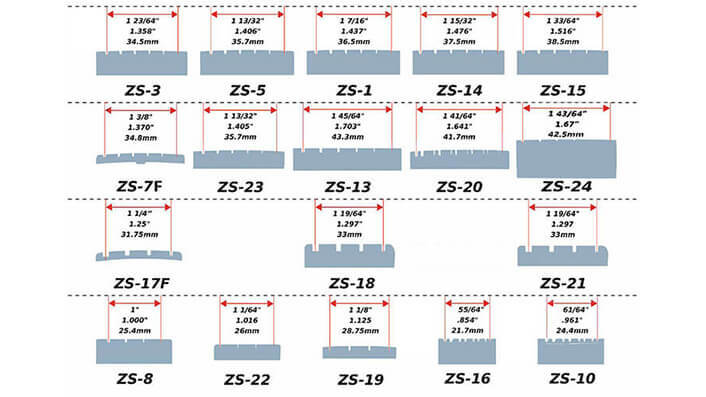 Three fret sizes of varying heights are included in Zero Glide packaging. Choose the fret that is most similar to that of the 1st fret on the instrument and position the fret tang between the fingerboard and the top step of the Zero Glide nut so that the fret is seated. Reference this illustration for help. 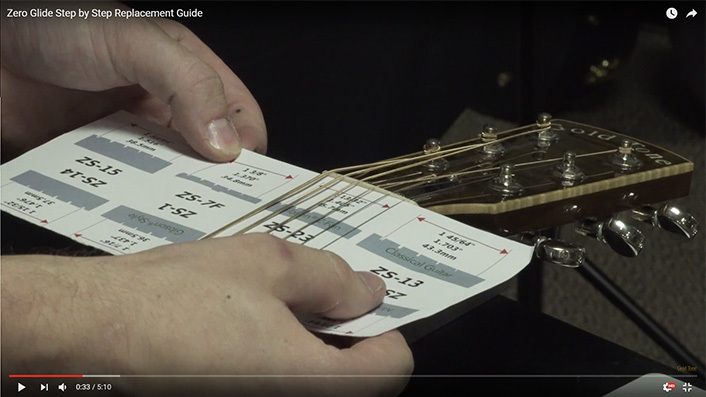 String the instrument and tune to pitch to test the fret height. Play each open string. 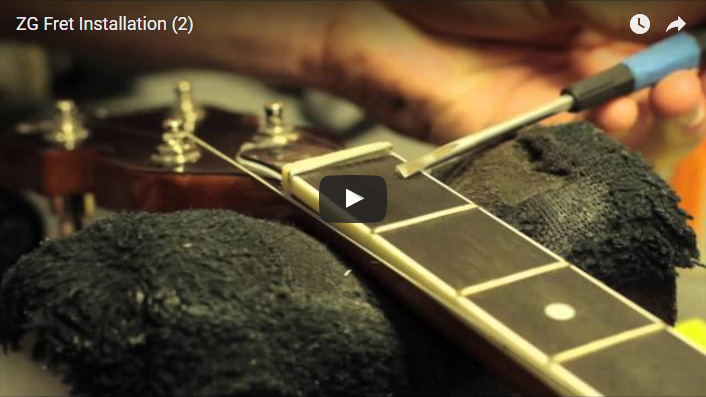 If a fret buzz occurs, detune the strings and replace with the next largest fret size. 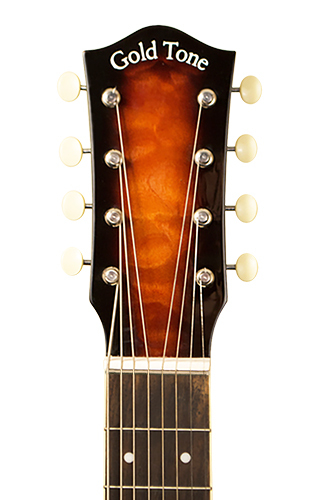 For best playability, choose the smallest fret size that does not allow the string to buzz when played open. 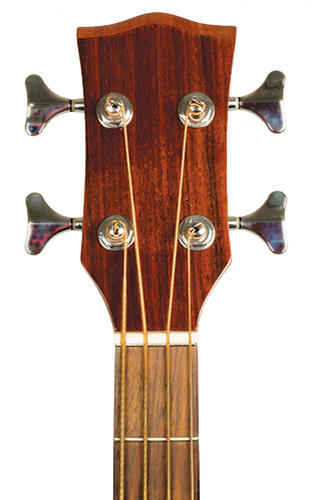 The string slots in the Zero Glide nut are cut lower than the fret so that no nut filing is necessary. 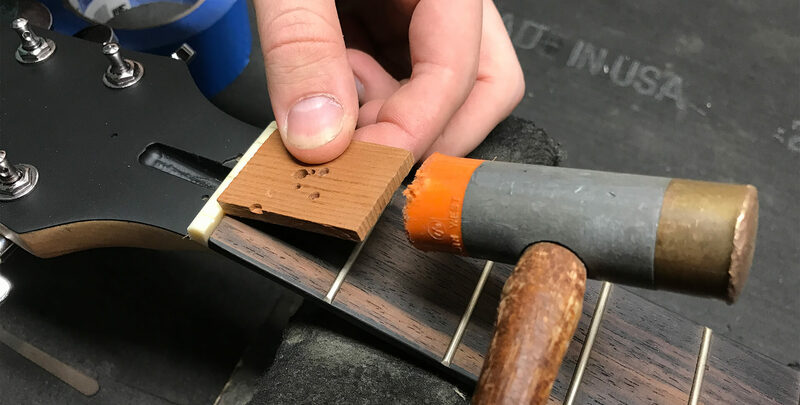 The fret can now be glued into place by carefully applying two small drops of superglue to the fret tang and pressing it into position. 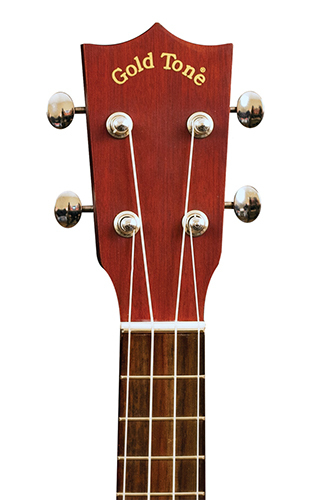 Immediately string and tune the instrument to allow the string pressure to firmly seat the fret. 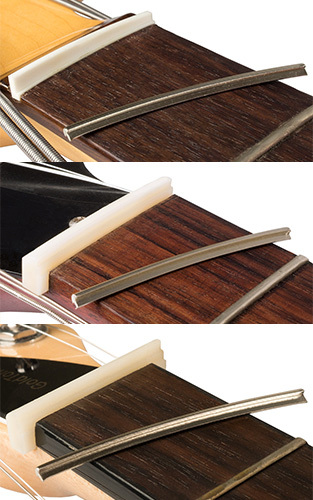 With the fret still in the Zero Glide nut, use wire snippers to cup away the excess fret material. 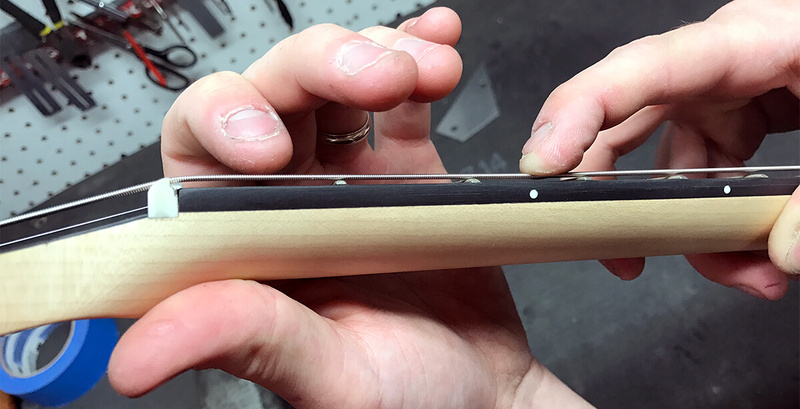 Using a thin metal file or sanding block, sand the fret to match the width of the nut. The fret ends may be beveled to match the other frets. 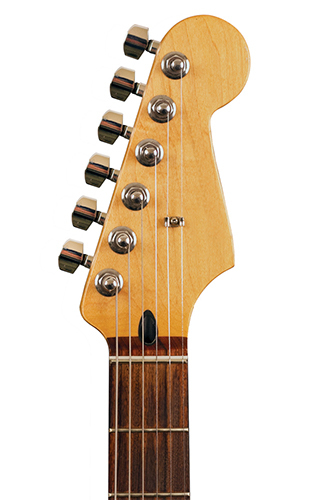 Since the fret and nut has already been glued, use extreme care so not to damage the finish on side of neck. 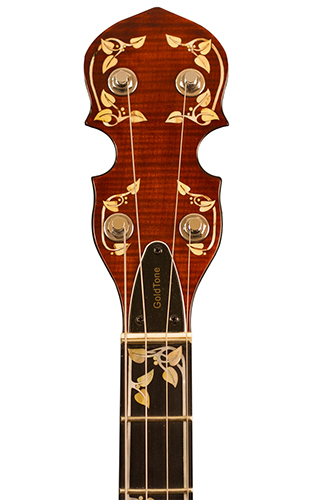 Congratulations, your fretted instrument will now tune better, open strings will be brighter, and the notes played on the first fret will be easily fretted. For those using D tuners on banjos, or vibrato arms on guitars, you may periodically spray on a silicone lubricant, such as Fingerease on the fret, for even better glide tuning!